When I was working in Italy on Lake Garda a couple of my colleagues went to visit Brescia one day. They came back quietly impressed by the city and its architecture. I must admit I was surprised as I'd been there twice when I was changing trains and wasn't too enamoured by it. Fair enough that I was only hanging around the area outside the train station for an hour or so but it seemed a little rough to me with more than a few unsavoury looking characters around. But give the place a second chance I felt and go see it properly. 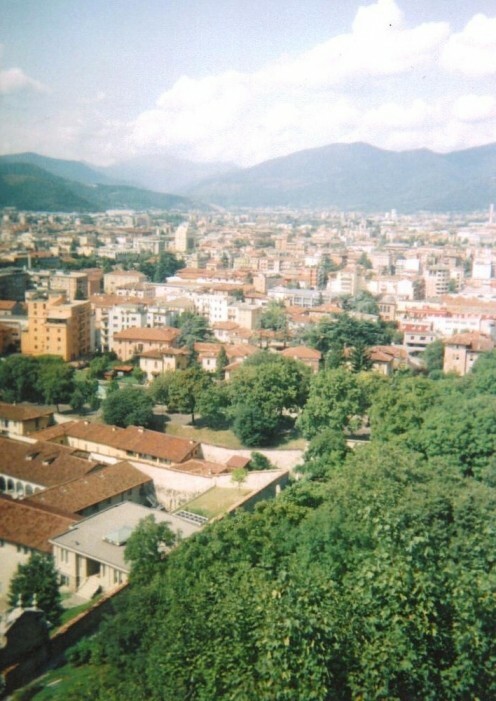 Brescia is called "the Lioness of Italy". It was named after ten days of popular uprising that took place in the city in the spring of 1849 against Austrian oppression. But obviously I was hoping it would be quiet today. I got the bus and on the way I noticed for the first time the large red traffic lights at the junctions, almost twice as large as the amber and green. It was as if to say "Yes! You will bloody stop!!" in an emphatic chromatic sort of fashion. After alighting from the bus I turned a corner and saw a street with not one but two kebab shops. 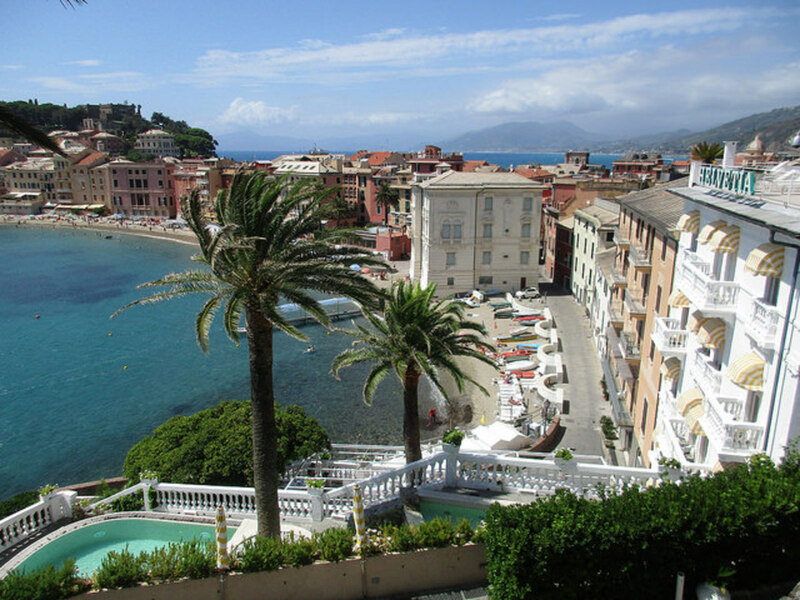 A spicy eastern paradise in an Italian provincial town. 1. Go up to the old castle on top of the hill and enjoy the view. 2. 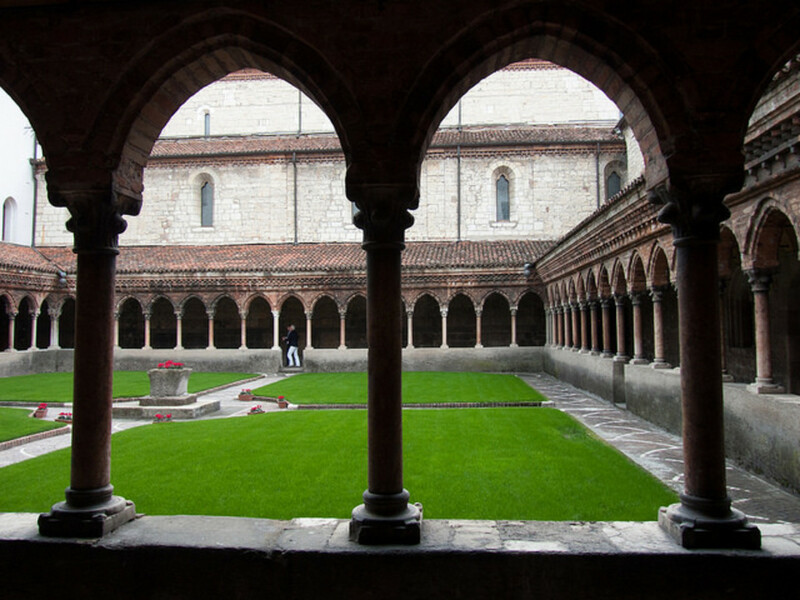 Visit the 11th century 'Duomo Vecchio' the old cathedral. 3. See the exhibits, art and artefacts in the city museum. 4. 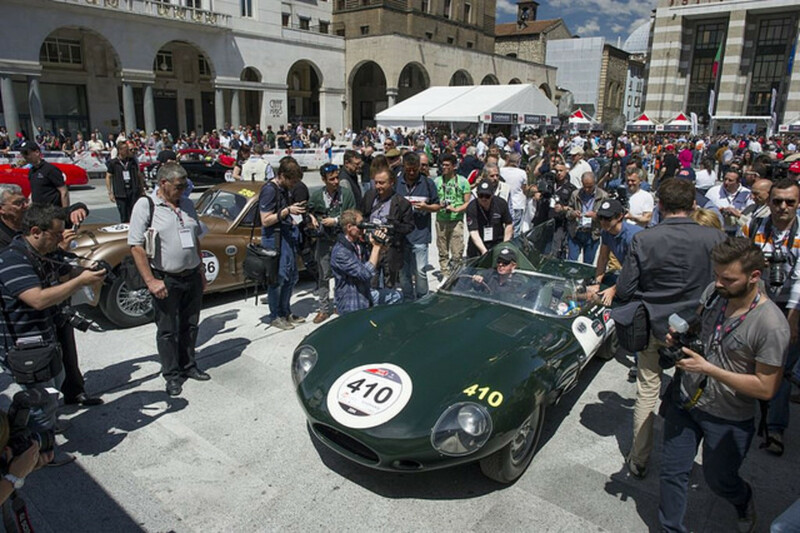 For car enthusiasts, take in the Mille Miglia museum. 5. 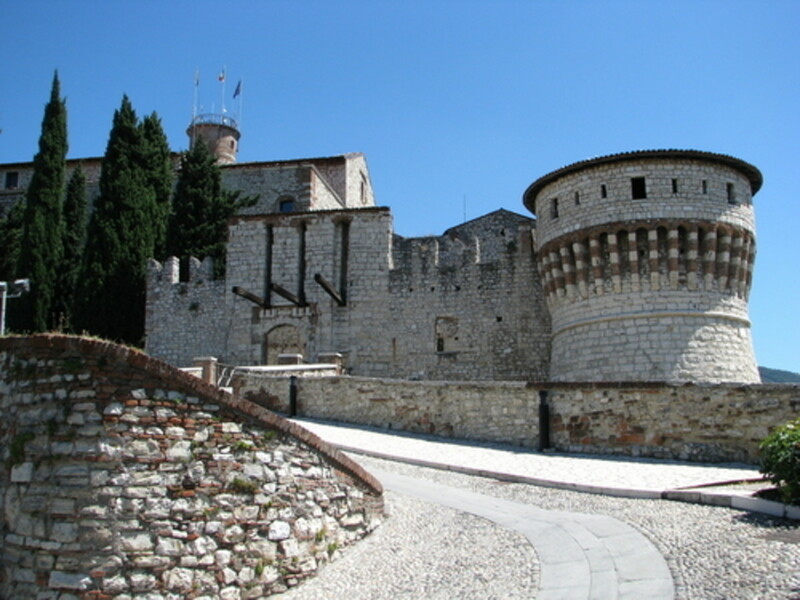 Visit the Roman remains of the Tempio Capiltolino. I sat inside one of the shops eating my kebab which was delicious of course as even fast food in Italy is like a gourmet meal. While I was in there I noticed through the window that there was a commotion across the street. I leaned over to see past a man stood outside who had noticed the commotion too and was spoiling my view of said commotion. I then saw a thin guy pinned to the ground by a large assailant towering over him with fist clenched and elbow expended backwards ready to pummel his face like a jack-hammer. It was a woman! His attacker was a huge African woman and the guys earthly existence was only preserved by the intervention of one of their friends who convinced the lady not to pulverise the little guy. Judging by the look on her face as she stormed across the road and around a corner out of sight she was not a woman to mess with. I think the man had a truly narrow escape. I finished my kebab and passing by the station a beggar with a massive bushy beard asked me for some money which I politely declined, but it wouldn't be the last request of the day. I quickly noticed a large ethnic mix in Brescia. As well as many Africans there were Arabs, Chinese and Eastern Europeans too and subsequently many internet cafes as well. Presumably there's a connection there as Brescia is not really a tourist centre as such and in fact I'm told doesn't promote itself as one. Therefore it isn't as commercialised as many other towns in the area. The buildings, squares and streets are uniformly pleasant and colourful without being spectacular. 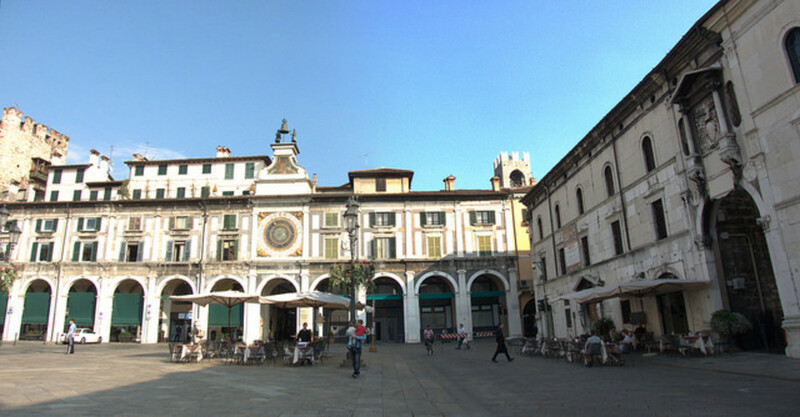 The city benefited from being under the rule of the Venetian Republic from 1426 until 1796 evidenced by the splendid 'Piazza della Loggia' which was completed over a 100 year period. In 1797 Brescia rebelled against a declining Venice although it was under the rule of Napoleon in the early 1800's. Thereafter it was under Austrian rule until the Wars of Independence in the mid-19th century when it eventually became part of the newly united Italy in 1859. There is no equivalent to St Mark's Square in Brescia, no huge Roman amphiteatre or glorious Duomo such as Milan can boast. 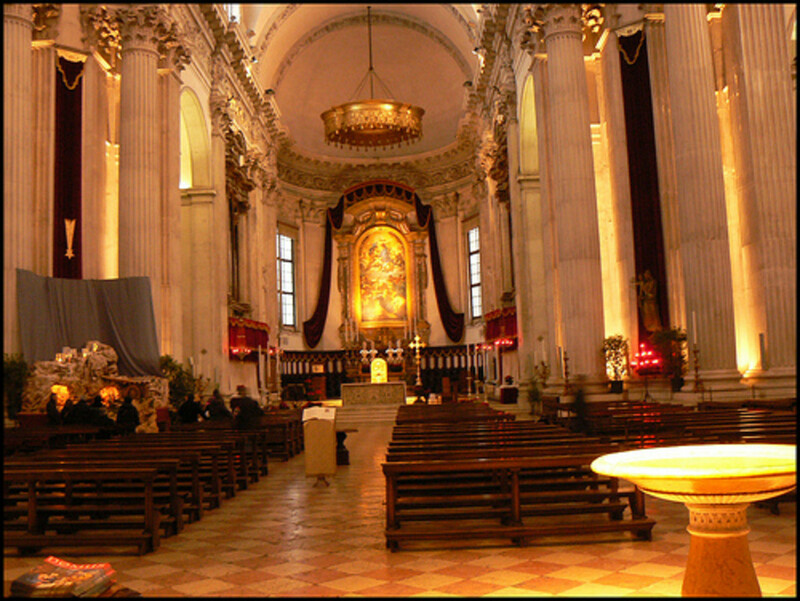 However there are many cathedrals, churches, monasteries and museums to enjoy such as the 'Pinacoteca Civica Tosio-Martinengo' and the 'Duomo Vecchio, or old cathedral in English. 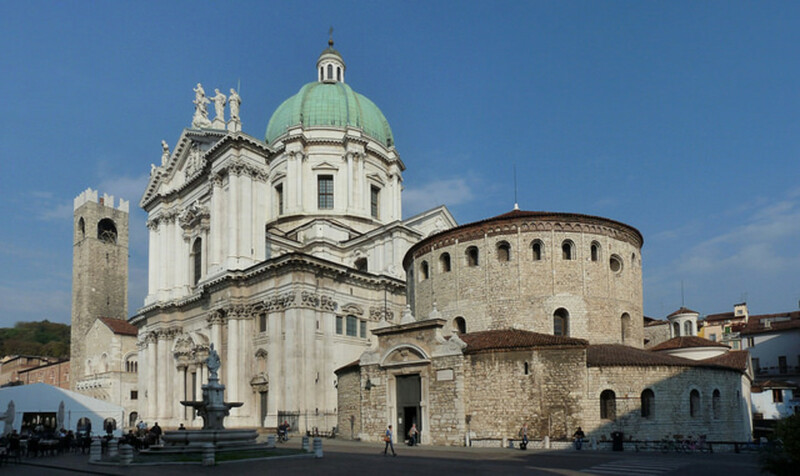 This houses many fine examples of Italian art and there is also the 'Museo della Cittá' which charts the history of Brescia from the Bronze Age to the Renaissance. 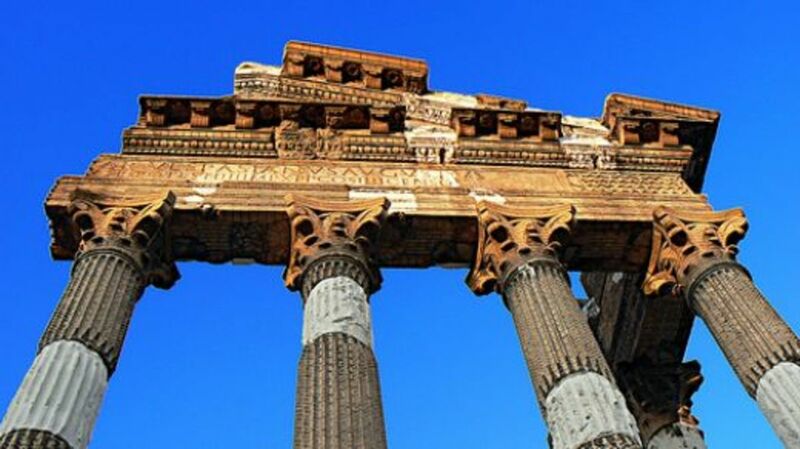 For the history and influence of ancient Rome visit the 'Temio Capitolino' with its impressive Corinthian pillars. There are ruins of a Roman Forum and a theatre dating from 73AD. 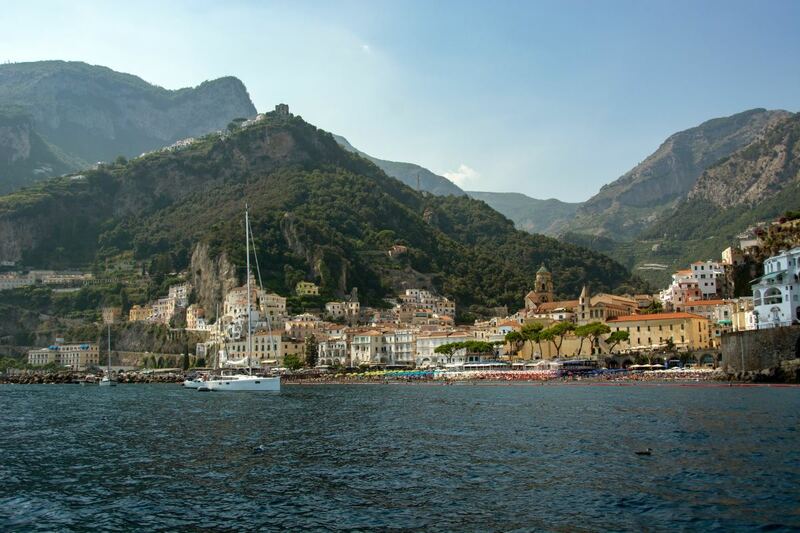 I liked the town, it was interesting and attractive to look at and I felt especially at home because many people dressed more modestly than the fashionistas to which I had become accustomed around Lake Garda where I lived. That was reflected in the cheaper prices of clothes in the few shops that were open. This being a Sunday the whole town seemed almost in shutdown as hardly any shops were open. It suited me fine as the streets were quiet. They were another welcome respite from the heat and in fact there are actually 72 public fountains in total in the city. "Hey! Troppo caldo!" meaning "too hot", which were words uttered by an African guy carrying a bag. "Here we go" I thought to myself, "Somebody trying to sell me something", or why else would a complete stranger approach me with a hearty greeting. It's a cynical world. "Si, per mio" I replied and then he said something in Italian which I couldn't fathom out but included the word "elefante" which means..... well OK! you're way ahead of me there. This was some kind of itinerant African ornamental elephant salesman by the sounds of thing. He then said something else in Italian which I couldn't understand except for the word "mangiare" accompanied by the international signage of putting the fingers to the mouth with an eating gesture, "Scusa! No soldi" I lied, meaning I had no money. He suddenly became less conversational and strolled away. But I don't think the poor guy would starve so I felt relaxed about it especially since I was not the rich moneybags tourist he thought I was. I was pretty well broke too. So my conscience was clear. I made my way up to the castle enjoying the quiet of the streets and the picturesque old buildings of which there are many all over the city. Up at the castle I was surprised by the number of Police that were present up there. I saw two on motorbikes at the summit and further down I saw two cars on separate occasions and also a van. I don't know, maybe they enjoy the view from up there, perhaps coming up for a picnic on their lunch break or to hang out with the tourists. It could be that Brescia is such a crime-free city that the Police have nothing better to do than hang around historic monuments all day. All of these were possibilities but me being me I reckoned the place was awash with thieves, muggers, pickpockets, wastrels and scoundrels galore so I kept a firm grasp of my belongings. 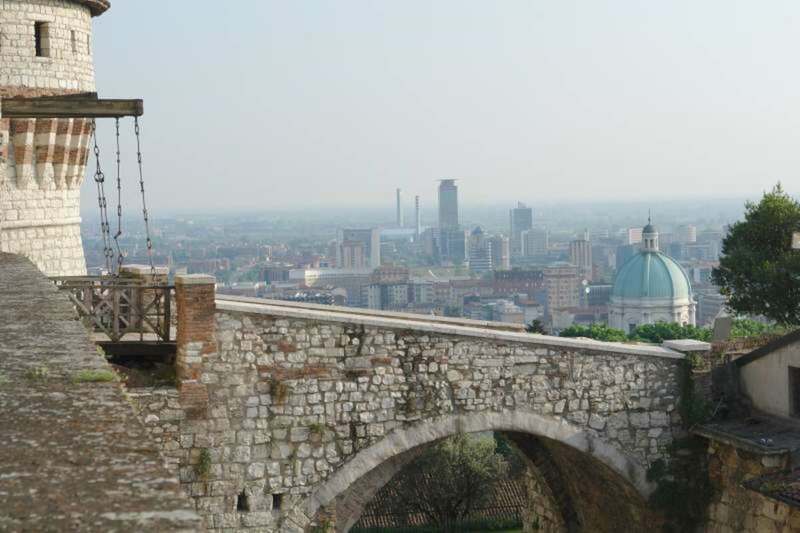 It was a tremendous view up on the castle as I could see the beginning of the Italian Alps over to my right and the city stretched out below me. It was a worthwhile visit and apparently the castle, as well as the visible towers, ramparts, courtyards and drawbridges, also has underground passages and rooms. I didn't bother with the museum because of my financial situation and that big African elephant salesman may have turned up and spotted that I had some cash after all. 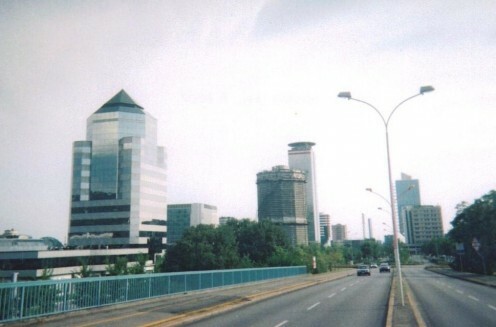 Heading back towards the centre of the town I passed a bridge which stretched over the railway to a futuristic looking business sector. I'm not normally a huge admirer of modern buildings but this looked fascinating, with office complexes straight out of a science-fiction movie. I took a few photographs and stood in a wide-open park area where some Sikh youngsters were playing at cricket. This was certainly a surreal moment. Turbans in the urban. Back in the centre I strolled along taking in the local sights and sounds such as the 'Studio Discipline Oriental' which promised some strange eastern intrigue but was actually only a hairdressers. I ate some sandwiches and along with two pigeons. No! I don't mean that I had a pigeon sandwich. I meant that I fed them bread and of course they began fighting over the same scraps despite the plentiful supplies I was throwing them. To enforce some kind of peace I threw some crusts to the right and to the left to try to keep the two of them apart and that seemed to work. They had enough to worry about keeping their eyes open for passing car tyres without bickering among themselves. Segregation is the answer to this avian strife. Then I went searching for a bar for a quick beer ironically enough the first pub I found that was opened was run by Indians. On the way I passed two Eastern European women who were sat on the pavement begging for money. Unfortunately for them just at the point I was passing another guy walked past in the other direction which I think caught them out and they weren't sure who to ask and they missed out. It's like two central defenders at football who can't decide which striker to mark as the latter are both switching to and fro across the park. The Indian bar was called 'Pepe Sale' which I think means 'Pepper Salt' in Italian and seemed a strange name for a bar. It had great beer though, stronger tasting than many pub beers here and reasonably priced. So I relaxed watching the world go by before heading off to the bus station for the trip home. 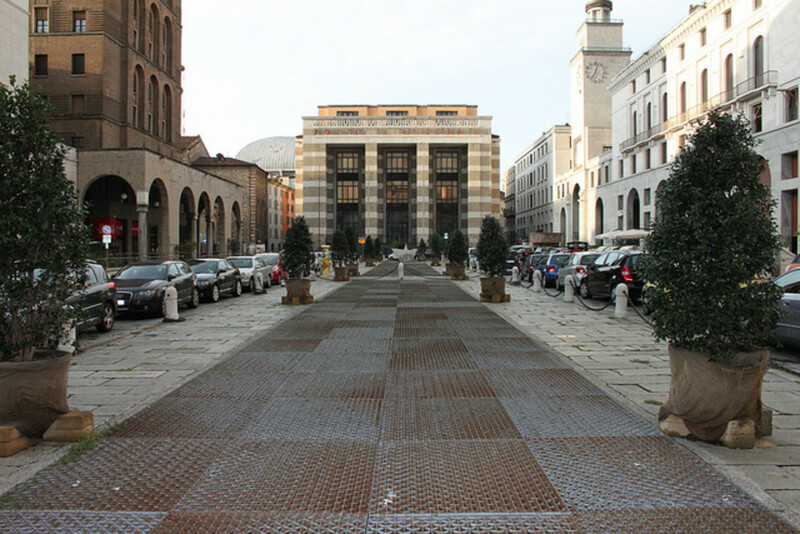 On the way I passed the Piazza Vittoria, a more modern part of the city dating back to the time of Mussollini. The marvelous architecture of the large Post Office building is a highlight although typical of the designs of the fascist era. 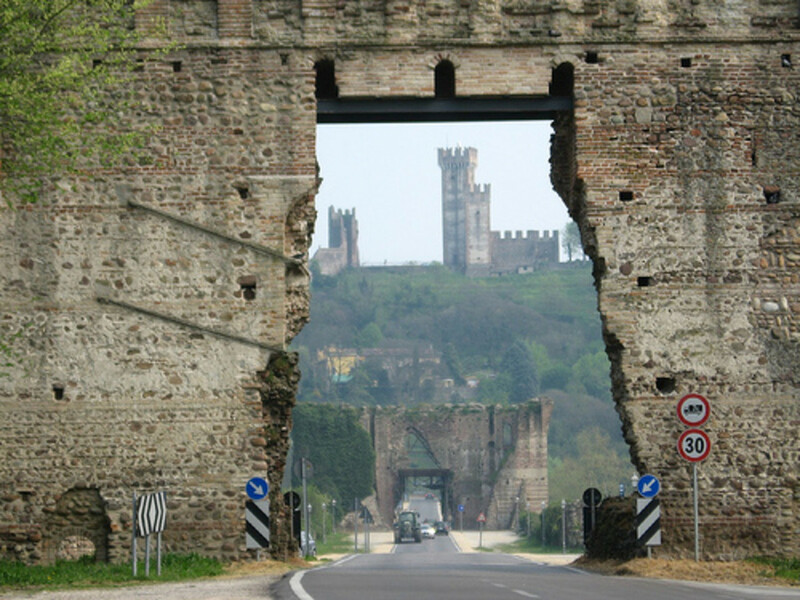 Another modern place to visit for car enthusiasts is the Mille Miglia Museum. This is named after the car race that took place from 1927 to 1957. It was a 1,00 mile (not kilometres) contest that took a round trip from Brescia and lasted around 16 hours. It was eventually abandoned as too dangerous as fatalities occurred. But nowadays a more leisurely tour of vintage cars takes place along the route every sprigtime. 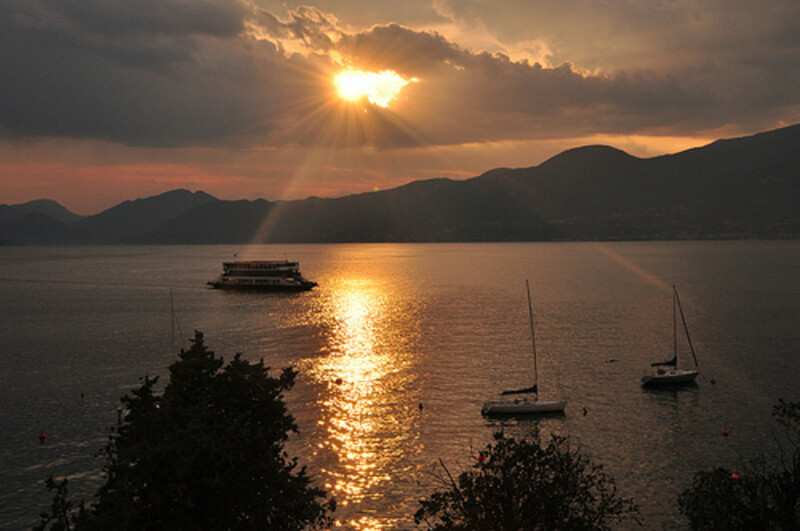 It passes through places like Lake Garda and even Rome before returning to its hometown. It's a fascinating event for fans of the 'quattro route' and a charming spectacle for tourists. I really need to pay more attention to timetables. That afternoon I was sure that the last bus back was 9.10pm. 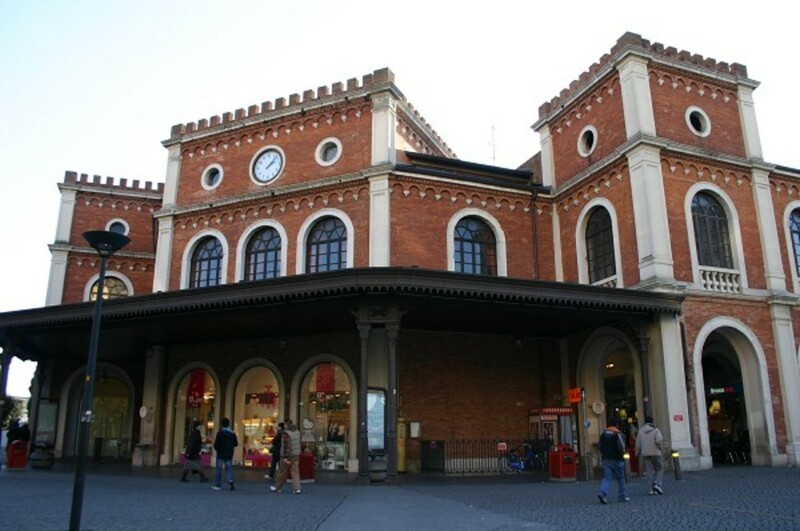 However according to the notice in the bus station at Brescia the last bus had gone about 8pm. Oh well! No matter, I could still get a train from the nearby station near to my destination of Desenzano then walk the four miles or so back from there. But when I went into the station all the ticket counters were closed and all of the machines were off apart from two over in a corner. But even one of them wasn't working so I was down to one. The machine quoted €2.50 to Desenzano but the obstinate pile of reconstituted metal wouldn't accept my €10 euro note. It was then I noticed that the display said 'coins only' so I dug into my pocket. If you've been keeping count then you'll know that so far there have only been three beggings in this little tale so you may be asking what was the fourth. Well what do you know my friends? On counting my change I realised I only had €2.40 so I had to ask for 10 cents from the guy behind me in the queue. Yes! I was reduced to pleading for money to get myself back on the train. When the train got into Desenzano I began the walk back along the main road. However when I was about halfway there I chanced upon a festival of all things in the little town of Rivoltella. An opportunity not be missed so I walked down the steep road to the Garda lakeside. Hundreds of people were milling around and all seemed to be Italian with not a tourist in sight. People of all ages were present. For the older generation there was polka dancing, with a female lead-singer and the bar was heaving with youngsters dancing until one of the bartenders bashed the living daylights out of a bell with a hammer. Last orders and time for the fireworks at 11pm. The Italians love their fireworks and this one was fantastic as usual. It was certainly an unexpected and most interesting day with a curious ending, but then many are over there around Lake Garda. On other days I've witnessed the sight of fully-clothed, sentient human beings cycling up a ramp and launching themselves into the lake. Then I wonder how they get the bike back out? What can I say about Venice? The 'Queen of the Adriatic' and perhaps the finest city in Italy, although Florence may give it a run for it's money. It's without a doubt everything you'd expect. For lovers of Italy and all things Italian I would highly recommend a trip to the ancient city of Verona in the north of the country. A marvellous spectacle of architecture and history imbued with beauty and culture. After a couple months into my work contract over on Lake Garda in Italy I thought it was time I was paying a visit to Milan.I knew of its reputation as arguably the fashion capital of Europe with its famous designer shops and stores. If you're ever considering a short weekend break somewhere in Europe then I would recommend the historic old town of Bergamo in Northern Italy. A perfect location for a romantic weekend with wonderful architecture and beautiful countryside. Hi prasetio30, they have festivals all over Italy in the summer. It's magic. I have a friend and now she life in Italy with her husband. And I have new one, he is you. It looks great festival. Really nice join and see this festival. thanks for share. Glad you enjoyed the article aquarianodyssey. I'm not a travel writer, I was just working over in Italy last summer and thought I'd write about my time there. I really enjoyed your article. Are you a travel writer? 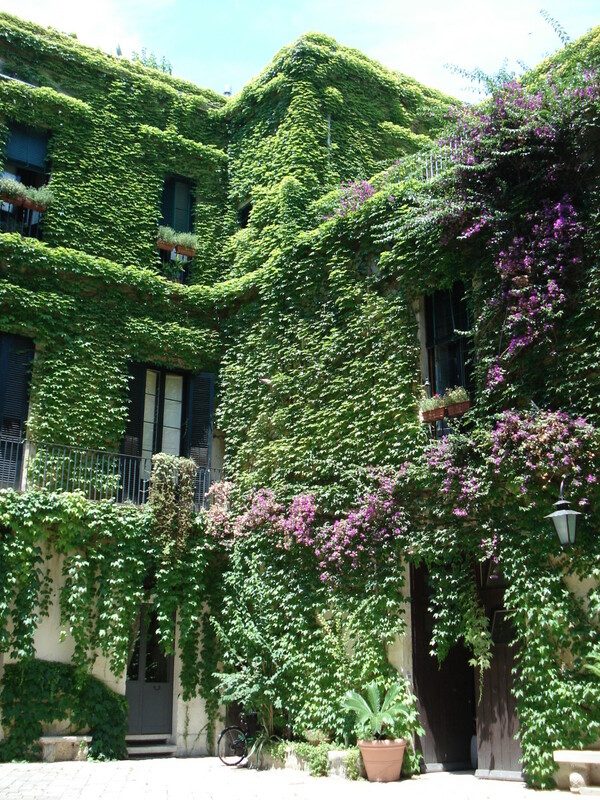 Italy is on my agenda for my next trip to Europe for sure! wow! that's a great article. Thanks for sharing your experience.